Looking For Budget Friendly Brunches? This Place Is A Must Visit! One of the good things about having our college In Dwarka is that it gives us the opportunity to explore the street food of this place. 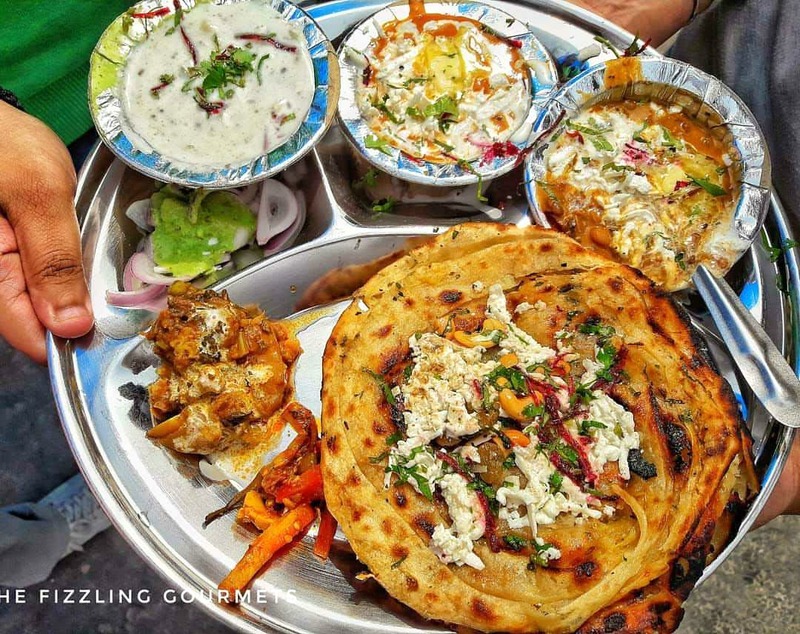 This small stall attained fame recently only by serving crunchy and crispy chur-chur naans with a dollop of butter, Dal, raita and shahi paneer. Naans are topped with tons of cashews, raisins, chopped coriander and cottage cheese. This roadside thela 'Raju chur-chur naan' is hugely crowded due to its affordable rates and lip-smacking naans. They also serve a variety of thalis to die for. Cost for one chur-chur naan thali:- INR 120. Aalloo naan thali:- INR 50.